Homespun Devotions: Prayers Needed for Fellow-Blogger, TERRI PRESSER, from Darling Downs Diaries!! 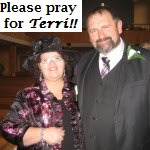 Prayers Needed for Fellow-Blogger, TERRI PRESSER, from Darling Downs Diaries!! "...pray one for another, that ye may be healed. 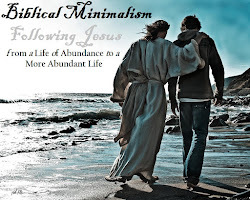 I just got an email from our precious friend, sister, and fellow-blogger, Terri Presser. You probably know her from her wonderful blog, Darling Downs Diaries. She hosts a weekly link-up that many of us participate in and enjoy. and it occurred to me that there may be something wrong. and Terri needs our prayers, dear friends! She suffered a fall on some steps Sunday morning and broke four bones in her leg. but also through the sweet encouragement she leaves in the comments section of Homespun Devotions and through our email communication. Terri lives in Australia, so, chances are, our physical paths may never meet. But, I feel like I have known her for years. there is an instant unity of souls. There is an automatic recognition. This kinship is brought about by the precious indwelling Holy Spirit that lives in each one of us. "...the love of God is shed abroad in our hearts by the Holy Ghost which is given unto us." can firmly vouch for the loving fruit Terri bears in and through her faithful life. Pray for a successful operation. Pray for relief from pain. Pray for a quick, uncomplicated recovery. as they adjust to her healing process. Wish she was close enough that I could take them a casserole and a cake. "Cheryl, prayer is a long-range weapon. It will reach as far as it needs to." God bless each one of you, dear friends! Thanks for posting this. I feel like I know her too. She is such a sweet lady. I will be praying for her. Cheryl, what a dear sweet friend you are to us all. I had just visited Terri's link-up and was concerned as well when I saw it had not been posted. I appreciate so much you sharing with us Terri's situation so that we can all be praying for her and her full recovery. What sweet fellowship we all enjoy together in this blogging community. Thank you for your precious loving heart Cheryl. How kind of you to share this. I will definitely keep her in my prayers. It is amazing how we can make some good friendships via blogging, isn't it? Such a blessing. God bless you, thank you so much for sharing this. Thank you I also thought something was wrong. 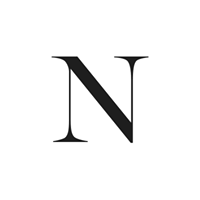 She never delays in putting up her post and tirelessly visits other bloggers. Thanks Cheryl, I will be praying too. So sorry to hear this! I wondered also when there wasn't any new posts. Thanks for sharing and I will add her to my prayers. Thank you for sharing this! I was wondering about Terri also! Cheryl....I am so glad you have shared this so we can be covering her. There is power in many who are on their knees. I also wondered about Terri, and I'm so glad to know what's going on. Now we can PRAY!! And yes, it is wonderful what God is accomplishing in Blog Land. The power of real friendship, the connection of hearts, and the long-range missiles of prayer - the Holy Spirit is indeed afoot!! Thank you for alerting us to Terri's surgery. You truly do have the gift of mercy, Cheryl, and your consistent attention to the needs of others, and your always-inspiring call to prayer is working miracles! Oh, Sharon...my precious friend! I have missed you and am praying for your regularly. Believing God for all you need! And your precious words here...well, they just moved me deep inside. I can't thank you enough for knowing just the right thing to say and for always being obedient to the precious Holy Spirit in conveying them to me when I need them the most. Much love to you and many hugs from across the miles! Praying for Terri that our Lord Jesus will quickly heal her bones, blood, tissues and all involved in this terrible break. also may our Lord bring peace to her emotions and bless her entire family during this process of healing. Thank you for sharing with us here at Tell me a Story. Thank you, sweet Hazel. I know Terri deeply appreciates every prayer being prayed for her during this awful ordeal. SO very thankful to have you in all of our lives. Much love to you. will be praying for this dear one. Many thanks for linking up at A Little R & R as it allows fellow believers to join together in prayer as one! It is amazing how this tool that the enemy started for his foul purposes had been allowed by God so it could be used for His! I'm praying for Terri. And thanks for sharing. YES, isn't it, though? 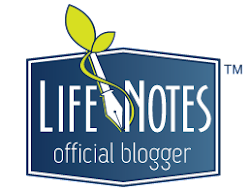 I am amazed at how the precious family of Christian bloggers comes together when there is a need. It just blesses my soul! So thankful to know you and for your consistent encouragement and support, brother. Hi Cheryl! Thank you for letting us all know about Terri! I have added her to my heart, so she'll be there when I pray. I broke my leg in many pieces in January, so I know what she is facing. May God give her strength, and bless her doctors and nurses to help her toward healing. I don't know Terri all that well. I have visited her bog on a few occasions. That doesn't matter what does matter is that we are sisters in Christ. Prayers going up. Thank you for being such a loving and caring sister. Thank you for letting us know what's going on! I hope she has a smooth recovery and feel the thoughts and prayers she's receiving from around the world! Thank you ever so much, Miss Steph! I am so thankful to know that you are lifting Terri to our Father for healing. God is listening, and He will honor the many prayers being prayed for our dear friend. God bless you for stopping by! Thank you ever so much, Linda! God bless you! !